Hurricane versus SP7015TRX – Tree stump gridnder for big jobs! The first Carlton Hurricane to hit the Uk has arrived, what a monster. 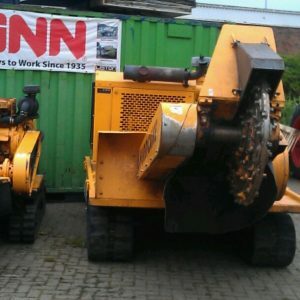 Well, my old 7015 (pictured next to it) looks like a toy compared to this beast, I can’t wait to see it in action. It weighs in at 5 and half ton with 140hp. Bring it on!